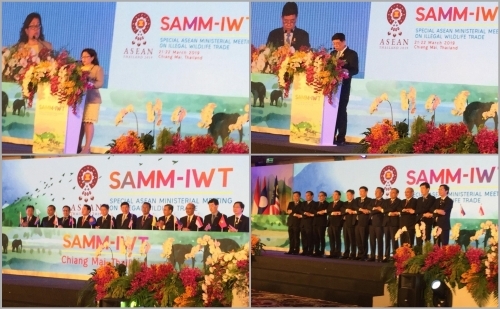 Member States of the Association of Southeast Asian Nations (ASEAN) on 21 and 22 March 2019 convened in Chiang Mai, Thailand, at a Special ASEAN Ministerial Meeting on Illegal Wildlife Trade, hosted by Thailand as the 2019 Chair of ASEAN. The meeting provided an important opportunity for ASEAN member States to take stock on progress made in their implementation of regional and national strategies to combat wildlife crime. ASEAN member States also discussed their collaborative efforts, and the potential to further strengthen and harmonize their strategic actions. This includes pursuing the targets under Goal 15 of the United Nations Sustainable Development Goals that specifically addresses tackling illegal trafficking in wildlife, through the implementation of the Kuala Lumpur Declaration on ASEAN 2025: Forging Ahead Together. ASEAN member States expressed a strong commitment to addressing wildlife crime as a serious transnational organized crime, and to further scale up efforts to combat it. “The Conference of the Parties to CITES adopted powerful Decisions and Resolutions to address wildlife crime, and will convene its 18th meeting in Colombo, Sri Lanka, in May, where progress will be reviewed, and further measures needed discussed and agreed. I urge you to make every effort to ensure that the Decisions and Resolutions that will be adopted by the Conference of the Parties to CITES are, as appropriate, embedded in the ASEAN strategies to combat wildlife crime”, she added. Representatives from countries outside the ASEAN region, inter-governmental and non-governmental organizations present at the meeting, expressed strong support for the work of ASEAN member States in addressing wildlife crime, and highlighted the support they are able to provide. 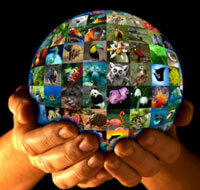 The tools, services and technical support available through the International Consortium on Combating Wildlife Crime (ICCWC), working to strengthen criminal justice systems and provide coordinated support at national, regional and international level to combat wildlife and forest crime, was also presented to the meeting.